The Engel Lab is comprised of a diverse group of graduate and undergraduate students, postdoctoral researchers, and staff. We recognize and celebrate diversity, inclusion, and equality as important intellectual, educational, occupational, and societal values, and work to promote diversity of people, ideas, and cultures, and to increase opportunities that enhance diversity, inclusion, and equality in our research, in the classroom, on campus, and in the broader geoscience community. Our research focuses on how biological activities impact geological and geochemical processes. We explore interactions among the Earth’s lithosphere, hydrosphere, and biosphere, and want to understand how these interactions have changed through time. 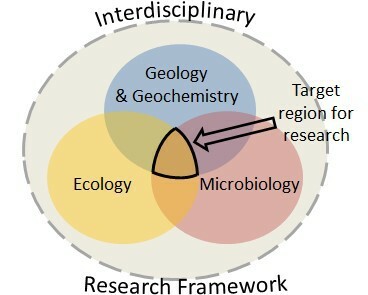 Our research falls broadly into the disciplines of geochemistry, geobiology, and geomicrobiology, as the study of the interactions between microbial life and geological and geochemical surroundings. A considerable aspect of our research involves field work. However, there is also a strong dependency on modern analytical equipment for the study of gas, water, and solid-phase samples. We also use computational and mathematical resources to analyze genomic and statistical data. Recurring Openings - Join the Group! Interest in interdisciplinary research, including geology, chemistry, geobiology microbiology, or relevant field is required. 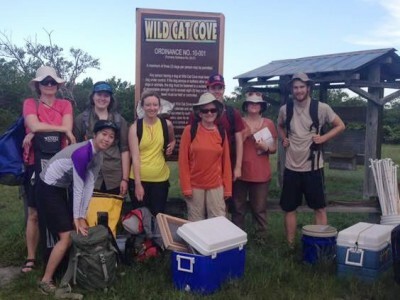 Applications are welcome for interdisciplinary research assistantships in geochemistry, geobiology, molecular microbiology, symbiosis, and ecology of caves and dynamic marine and coastal habitats, including salt marshes and seagrass meadows. These projects take advantage of advanced analytical resources at the University of Tennessee, and research projects have extensive preexisting datasets and involve field work. Interested M.S. 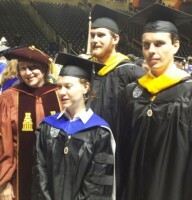 or Ph.D. students should have a strong background in the associated research disciplines. All candidates should have excellent writing and presentation skills, be capable of working in a team, and be highly motivated and committed to pursuing graduate research. Interested students should email Dr. Engel immediately. See the Department of Earth and Planetary Sciences website for more information . Interest in geology, chemistry, microbiology, or relevant field is required. 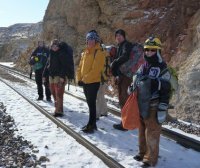 Undergraduates interested in volunteering for interdisciplinary geology and/or biology research experience are encouraged to contact Vickie Frazier in Dr. Engel’s lab group. 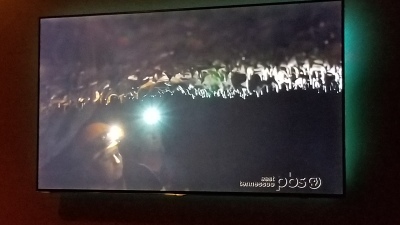 Volunteers will assist with caving field work and be trained in sample collection methods for geochemical and microbial analysis of cave streams. Students may also have the opportunity to be involved in more independent research in Dr. Engel’s lab. Availability on Tuesdays or Fridays this semester are preferred for field work scheduling. Schedules permitting, field work and research on weekend days may also be planned. Prior caving experience is a plus but not required. Other positions are available for undergraduate students interested in working in geomicrobiology and geochemistry, gaining experience in field and laboratory methods, and conducting independent research. Expectations are that students work 10-20 hours per week, that they attend group meetings, and they work towards presenting their research at conferences (university, regional, and national). Some positions require good computer skills and other positions will involve field work. See the Department of Earth and Planetary Sciences website for Undergraduate Research for more details. Learn more about the analytical capabailities and instrumentation maintained by Engel's group, and learn about possible ways to collaborate. We get to travel to exciting, interesting places as part of our field work. Learn more about our travel related to field research. Each research page has photographs from field work, but here are more! Standard operating procedures are vital to any laboratory group. Learn more about our methods and protocols. the ISME Journal, " Taxonomic and functional heterogeneity of the gill microbiome in a symbiotic coastal mangrove lucinid species. " Welcome new PhD student, Vickie Frazier! 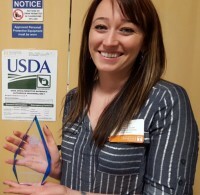 ​of Research and Engagement Congrats, Audrey!